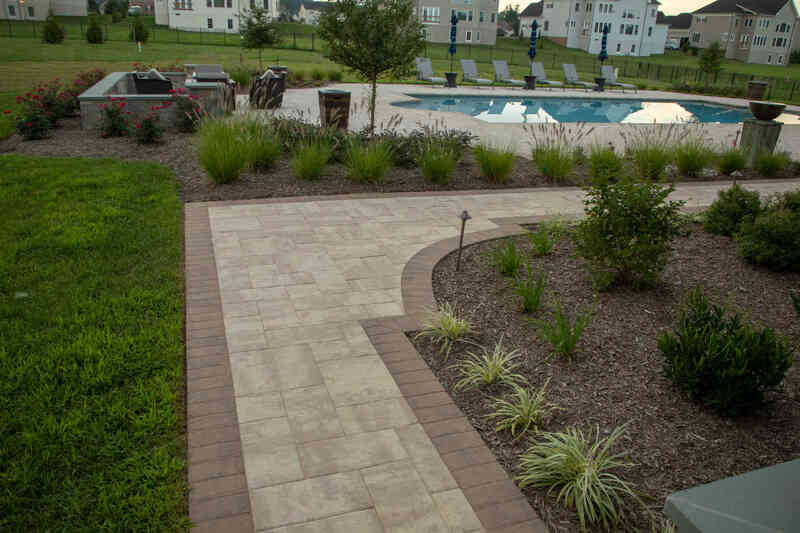 If you’ve spent the time and money for an amazing paver patio installation on your Maryland property, then you definitely won’t want it to degrade over time. While paver patios are relatively simple to take care of, it’s important to keep up with regular maintenance to ensure yours stays looking just as pristine as the day it was installed. Rhine landscaping, your Maryland paver patio installer, is here with a few vital tips for caring for your patio. Regularly sweeping, rinsing, and mopping your paver or stone patio is critical to keeping it looking its best. You can easily banish the majority of surface dirt with a simple spray from a garden hose, and can use a power washer should you run into more resistant debris. If you spot stain or mark on your paver patio quickly use soap and a bristle brush to scrub it out, otherwise it may set in permanently. If you’re having trouble removing a stain you may use paint thinner instead of soap, but apply sparingly. The bane of any homeowner’s existence. Left to their own sinister devices these pesky plants can swiftly turn a pristine paver patio into a hotbed of chaotic messiness. Take ‘em down before they can get a foothold in your yard or patio by using a solution of white vinegar and water to wash your paver patio regularly. Make sure to take your paver patio for a walk too, as consistent foot traffic helps kill budding weeds. Another important part of shielding your Maryland paver patio is sealing it. Applying sealant protects your paver patio from moisture and the elements by creating an invisible, water, oil, and UV repellent coating. Sealing your patio will keep it looking brand new for years to come. If you’re not sure if your patio has already been sealed, dribble some water on it. If the water beads up and isn’t absorbed into the patio it’s sealed. Make sure to re-seal your paver patio every 2-4 years for maximum longevity. Need Help With Paver Patio Maintenance? Call Rhine Landscaping. 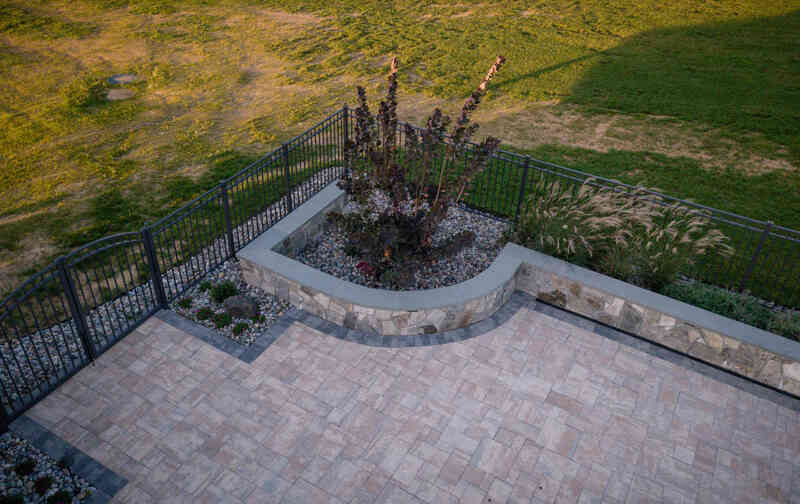 We’re an experienced hardscaping company that’s served Maryland for years. 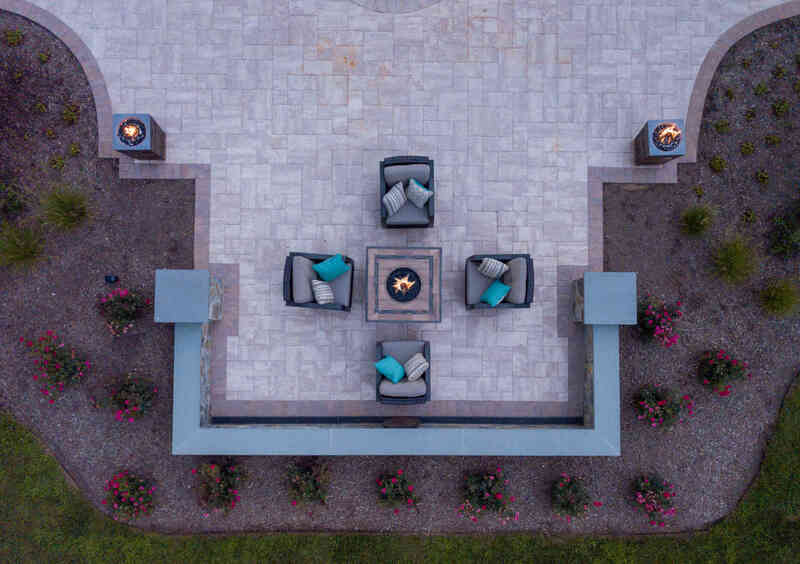 We know the ins and outs of paver patio maintenance and have the techniques and expertise at our disposal to make sure it’s done right and done affordably. We also install brand new patios and have done jobs ranging from simple walkways and patios to very elaborate terraced multi level patio systems. If you’re interested in a having an effortlessly beautiful paver patio, call us at (410)-442-2445 or fill out our online contact form today! This entry was posted on Tuesday, December 4th, 2018	at 11:11 am	and is filed under Blog, Hardscaping, Landscaper Maryland, Patio	. You can follow any responses to this entry through the RSS 2.0	feed. Both comments and pings are currently closed.